Read the full post here at the Practical Theory blog. 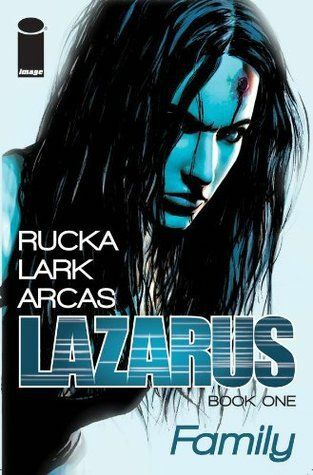 I just finished reading Volume 2 of Lazarus, the excellent Image Comics series from Greg Rucka, Michael Lark, and Santi Arcas. Let me be honest right up front; I am no serious comic book fan. I bought a few random issues of super hero stuff (mostly Batman) when I was kid in the early 90s, because that was what people were doing, before quickly losing interest. My recent interest in comics is mostly through The Walking Dead (which I don’t actually own), two issues of The Wicked and the Divine (which I didn’t actually like) and the Lazarus series. Not to mention that I am buying these things in “volumes” on Amazon, not actual comic books, which I know seriously hurts my street creed. I just don’t have a comic book store anywhere close to where I live, and I enjoy reading them this way for now. Essentially, reading and following comic series is a fresh, new experience for me at the age of 29. What struck me today was the intense feeling that I needed to read the next installment of Lazarus immediately. Unfortunately for me, Volume 3 does not exist yet, and will not for at least another 3 months. 3 months?! Even if I was able to shop for the individual comics, there are only two new issues out now, with just one new issue every month. If we think about comic books as episodes, that would be like waiting a month between episodes of Game of Thrones. When I have to wait a week for a new episode of Boardwalk Empire, I absolutely lose my mind! How I am going to wait months for Lazarus? Comics are a unique medium. Reading a good one resembles reading a novel, looking at a painting, and watching an episode of a TV show, but at the same time is nothing like any of those things. The visual sequences feel like watching a movie in slow motion, giving the reader an opportunity to really absorb and enjoy the art. The unraveling of the story, character development, and cultural relevance can rival some of our best literature. Yet, comics are almost more unique in their distribution. I think it goes without saying (since you are reading this on the internet) that we live in a world of instant media access. When I want to read or watch something, I don’t have to wait for it. I don’t want to ever have to wait. And if I do have to wait more than 20 seconds for something, I am going to fill that time with a quick look at Twitter or Instagram. I love this world. But it frightens me to think of what it may be doing to our psyche. We may be too quick to lump comics in with this category of fast media since they are so popular and engrained in our culture through Hollywood movies. However, comics demand that you wait for them. Even if you are reading them electronically, you still wait the month for the next issue. And when they’re really great, you are brought right back into the story, the world that has been created by the artists. When we are forced to wait, different things happen in our brain. Perhaps this delayed gratification for comic books is a good thing, a counter balance to the overwhelmingly rapid pace of information. I often cite reading a novel as an opportunity to slow down, but I will be adding the experience of waiting for comic book releases to that list. It is an important list, even though it is a short list. For now, I will embrace this long period of waiting for the next volume of Lazarus. Will it get any less painful? I don’t know, but I think that pain is good for my health. What is your experience of following a comic series? Is there any value to this delayed gratification? Discuss in the comments. Well worth the time to read for anyone with a career in technology. And I am amazed with the number of parallels between the social/political challenges of being a software engineer and being a teacher. I have been considering closing my Facebook account for a variety of reasons. I have been telling myself it is because of the company’s dishonesty, trickery, sneakiness, and liberal definition of privacy. They also use aggressive means to try monetizing their business with advertising, gaming, and selling of data, which are all rather obnoxious. Of course we have control over this product. Although it is free, it is still a product and we are paying for it in some way. If I am in control over this, why am I considering canning the account instead of just ending my relationship with this company that I constantly complain about? Facebook has become the only way I connect with friends (other than the few that live nearby). It is more than just a product because it is your social life, which is what makes it so brilliant and so dangerous. So, this morning I realized the real reason I may be so uncomfortable with Facebook; it has allowed me to justify being disengaged from my friends. I don’t have to call, because I see a few things that are going on in their life on Facebook. Plus, I really have not been getting any satisfaction from using it lately. I know that it isn’t in my personality to really reach out to friends over a distance. And those distances have only grown in the last decade following high school graduation. But Facebook has made it worse by making me think it was okay to just settle for a few likes, because that’s what relationships are nowadays. But all relationships (romantic, familial, and friendships) take work. What do you think? 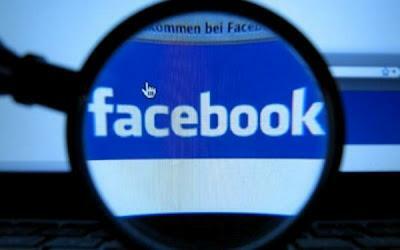 Does Facebook have this effect on friendships and the way we socialize? Is it worth closing altogether and go back to calling people and writing letters? This will be the most difficult, challenging thing you will ever do. It will push you to your limits as a person. It will almost break you. There are times when it will feel like life has sucker-punched you, then offered you crutches, then taken the crutches and is beating you over the back with them while laughing hysterically. Teaching will also be the most beautiful thing that has ever happened to you.